Peanut butter and bananas are the perfect pair. Layer them on a piece of whole-grain bread for a no-brainer lunch that really satisfies. 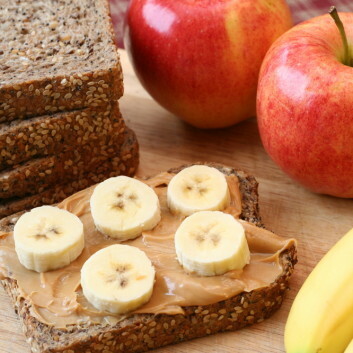 Top each slice of bread with 1 level tablespoon of peanut butter and 1/4 sliced banana. Enjoy!